Western Europe research papers examine the area geographically and politically. The term “Western Europe” is both a geographical and a political designation. Many times research papers will be assigned on what is considered "Western Europe". Depending upon which class the research paper is for or what period of time in history is being targeted. For example, the original designation of a split in the middle of Europe dates back to the Roman Empire, when Rome divided itself into a Greek speaking East and a Latin West. 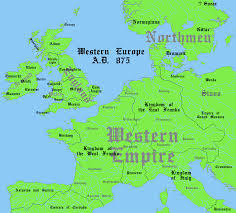 With the fall of the Roman Empire, Europe’s East/West divide became a religious one, with Western Europe falling under the purveyance of the Roman Catholic Church. However, Western Europe today is something altogether different in research papers concerning geographical divisions. Paper Masters will help you flush out what aspect of Western European history you need to focus on. In the modern era, Western Europe as a political entity emerged following the Second World War, when Germany was divided between the four Allies (Russia, France, Great Britain and the United States). Russia, seeking a buffer zone between itself and the West, imposed communist regimes on those countries it bordered, such as Poland and Czechoslovakia, and created East Germany. However, most individuals when referring to “Western Europe” now include all the member nations of the EU, which in 2013 consisted of 28 European nations. European Union Constitution Research Papers delve into an example of an order placed for a research paper that would like the history on the European Union. Adaptation of the Euro - first six members of the European Union included Belgium, the Federal Republic of Germany, France, Italy, Luxembourg, and the Netherlands. Order a research paper on the Euro. Paper Masters writes custom research papers on Western Europe and examine the area geographically and politically.